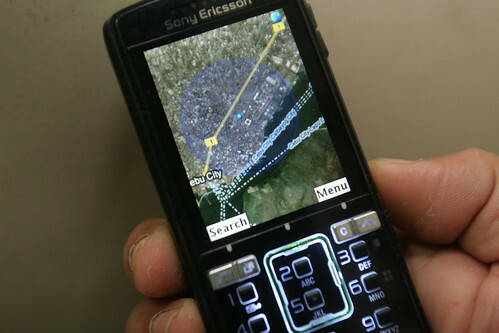 Google Maps for Mobile‘s My Location feature works in the Sony Ericsson K850i, the latest in the Cyber-shot line to hit the market. My Location is a cool feature that places your approximate location on the map using GPS (Global Positioning System) or mobile towers. If you have one of the recent phones that report cell sites, Google Maps will draw a blue circle on the map to represent your approximate location, as determined through the use of cell sites. WHERE AM I? Anywhere from Fuente Osmneña to the middle of the Cebu harbor, according to this location data provided by Google Maps for Mobile running in the Sony Ericsson K850i. I was inside the Sun.Star Cebu office on P de. Rosario St. when I ran the application. Click on photo to enlarge image. I previously tried the service with the K750i and K800i but both units don’t report cell sites they are using to connect to the network My Location won’t work with them. 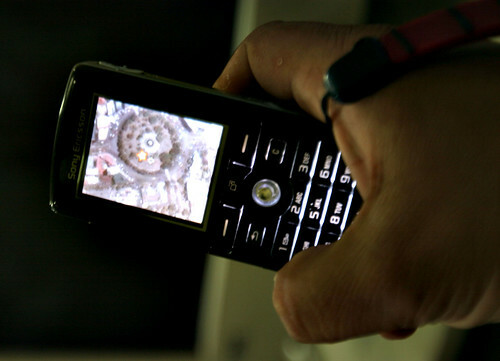 Last week, I tried it with a K850i demo unit lent to me by Sony Ericsson Philippines for testing and got it working in no time. I used my Smart account in testing the K850i so its cell towers were the ones being used to plot the phone’s location. It isn’t GPS, which is accurate up to a few meters, and the blue circle that indicates my general location covers an area that seems more than a kilometer wide.